WPW caught a big break for Spring Training. The Oakland Athletics are a first class organization and gave us the opportunity to cover our first MLB game. Obviously, I was pretty pumped to come in and get some up-close shots of the Mariners and A’s gear. 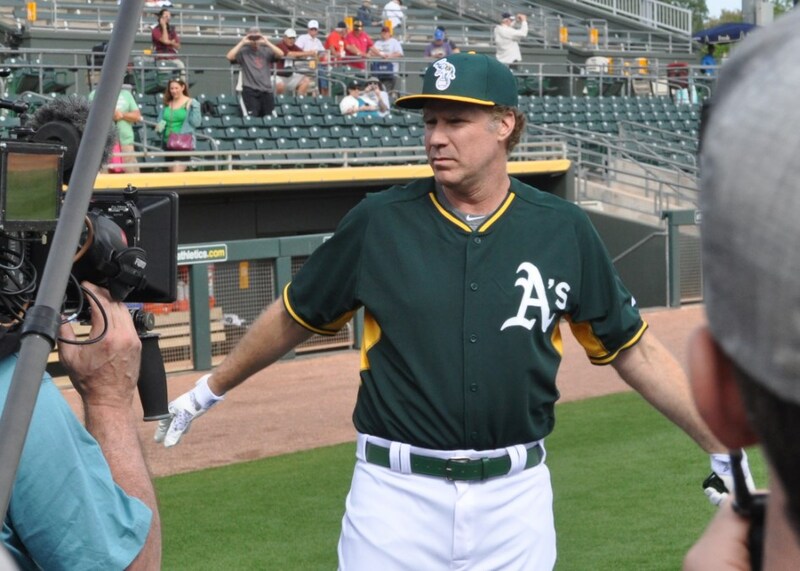 Then yesterday I learn that, for my first MLB experience, Will Ferrell will be playing. So I figured, when in Rome… So here’s Will Ferrell’s MLB Debut with the A’s, oh, and the Mariners… And I think he played for a few other teams, too. P.S. I took some photos of actual players too. Will get those up soon enough. Ferrell’s 10 team, 5 stadium stunt was planned for HBO, Funny or Die, and to benefit an organization that grants college scholarships to cancer survivors called Cancer for College. His inspiration for the positional feat is Bert “Campy” Campaneris, who played all nine positions in a single game on September 8, 1965, for the Oakland Athletics. Bert was in attendance today, and Ferrell got his clubhouse name, “Campy,” on his Marucci maple. Its safe to say the Digi Camo takeover is complete. Will Ferrell in the Cutters Power Control batting gloves. Claimed he’s a 5-tool guy mid-round. Decent oppo pop, rolls over the offspeed. Also notice the camera guy kneeling in fair territory who has probably never been to a ballgame before. You know that’s where they’re aiming right, chief? Guy just missed getting impaled by a hot shot to third, too. 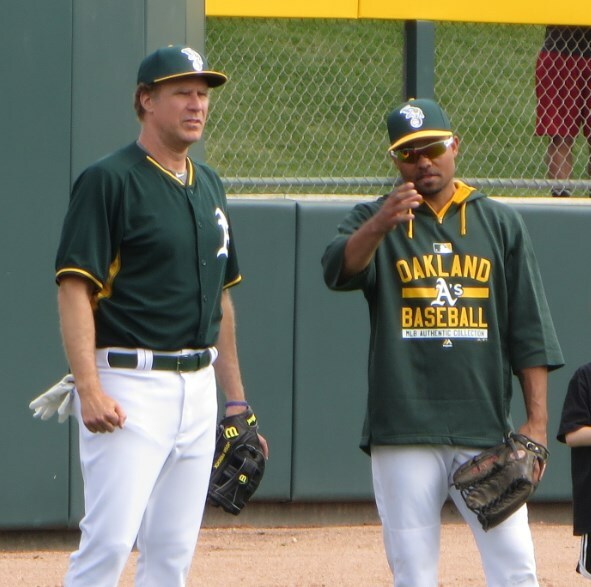 Ferrell didn’t see any action, but he did a serviceable job running towards plays like a 4 year old on a soccer field, and he especially loved telling everyone how many outs there were. He also proved to be an elite level heckler, at both his teammates and opponents, and got Brett Lawrie going a few times. The veteran Lawrie did some coaching as well. Ferrell then switched dugouts and jumped over to second base, but he kept the Reddick Y-Web. The highlight of my day year life, though, was before the game. I had been wanting to talk to Rickey Henderson about his glove, and finally got a moment with him. He was very friendly, we talked gloves, then worlds collided, when Will Ferrell walked over. 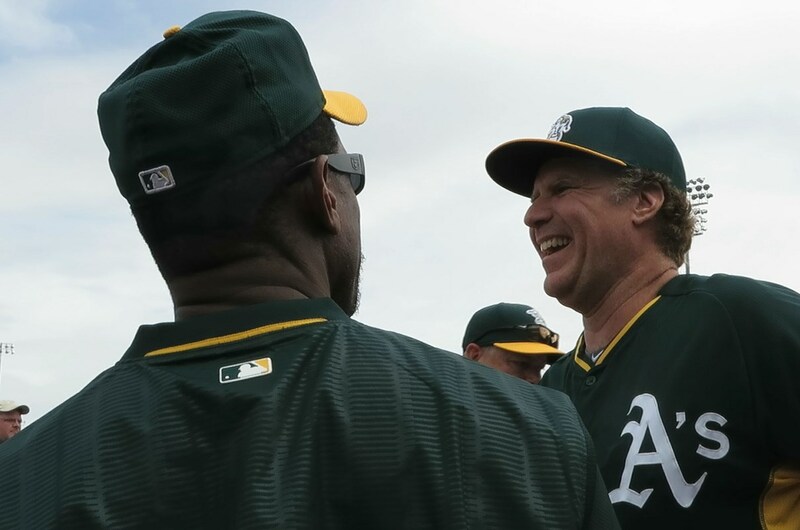 Check out the full video as Rickey and I chat about gloves while Will Ferrell shows up and blows my interview. Good day for WPW. We’ll get some real gear up shortly.